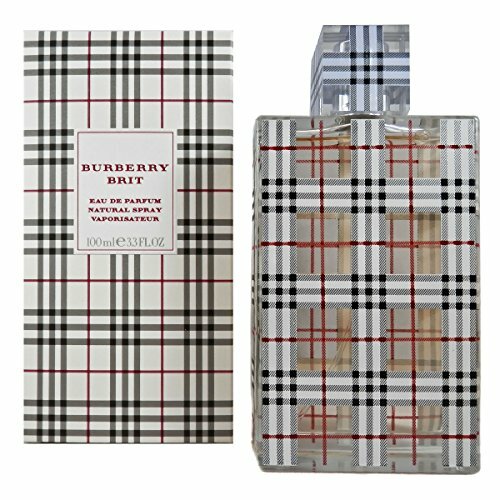 Burberry Brit Eau de Parfum is a green oriental fragrance with an unexpected blend of sugar and spice. The scent features fresh and playful top notes with Italian lime, icy pear and crisp green almond. Soft floral heart notes of lush white peony are sweetened with sugared almond. Warming amber and mahogany are calmed with sensual notes of vanilla and tonka beans. Presented in a check glass bottle.